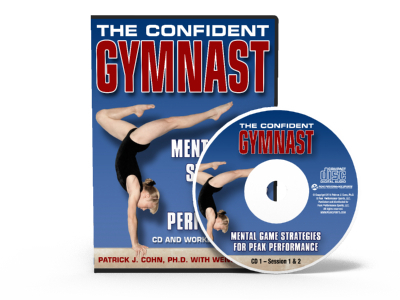 A gymnastics specific mental training workbook and CD program designed to teach gymnasts how to perform with confidence, composure, and focus in training and competition. 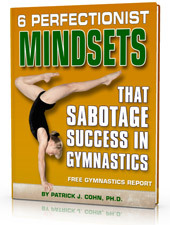 This program is also great for coaches and parents who want to learn how to help their gymnasts be mentally tough on and off the field. The program includes a workbook and 4 CD’s that will give gymnasts the tools they need to take their performance to the next level. In addition, the program comes with 7 free bonus programs. You might be the most skilled gymnast in your gym and train harder or longer than anyone else, but if self-doubt enters your mind prior to or during competition, you simply will not reach your true potential in gymnastics.